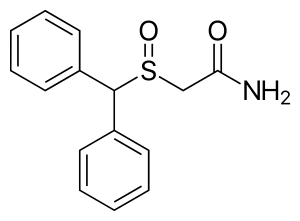 Previous: Previous post: The psychostimulant modafinil facilitates water maze performance and augments synaptic potentiation in dentate gyrus. Any seeming felt-effect might revolve around enhancing expectations of performance – and the mismatch in performance that occurs because of the relative feeling of enhanced performance while you are sleep-deprived with modafinil onboard, compared to coffee or just willpower. There is an intriguing possibility here. In a super paper, Wilhelm Hofmann, Kathleen D. Vohs and Roy F. Baumeister use an experience sampling technique (using smartphones to capture data) to measure what people desire, feel conflicted about, and try to resist in everyday life. One of the remarkable findings in the paper is the frequency with which people report resisting sleep during the course of the day. As the paper states: ‘Perhaps surprisingly, the desire for sleep was frequent throughout the day, rather than concentrated in morning or evening.’ (Abstract below). We seem to want to spend lots of time sleeping, having leisure time, and browsing screens! Perhaps the apparent experience of cognitive enhancement is merely the feeling of wakefulness promotion experienced by the individual. You study for 40-50 mins – it is tiring, exhausting and depleting to deploy attention, concentration and self-control for such a period of time. With one of these agents on board (or their poor relations – caffeine and nicotine), you can study longer without feeling tired – and mistake the lack of tiredness as enhanced cognition, rather than a baseline shift in levels of arousal that have little to do with cognitive function (and therefore with learning and memory!). You haven’t done much work for your exams – and you can stay awake longer to study for your exams with these compounds on board. And of course you don’t know, or want to know, that the best cognitive enhancers are lots of good quality sleep, engaging in regular aerobic exercise, and distributed practice (a little often, rather than a lot in one go) coupled with regular self-tests; worse, you don’t know that sleep is required for the long-term consolidation of learning and memory. More on these themes again. What people desire, feel conflicted about, and try to resist in everyday life. Hofmann W, Vohs KD, Baumeister RF. Psychol Sci. 2012 Jun;23(6):582-8. doi: 10.1177/0956797612437426. Epub 2012 Apr 30. I’m curious if you have any thoughts about nootropics, like piracetam, aniracetam, noopept, etc. Tons of research since the 60’s, and lots of hype right now, but anecdotal reports vary quite dramatically. Some believe they are best for people who need some sort of repair – i.e., former substance abusers. Others see them as neuroprotective, and worthwhile to take for long-term brain health. While others use them for specific purposes, like memory, anxiolytic effects, verbal fluency, increased sensory perception, etc. I’d love to know your thoughts, considering how knowledgeable you are in the space. Are they not only safe, but protective? Are they potentially good for memory, sensory perception and/or anxiety? Are they perhaps capable of repairing damage? As a scientist, I know you don’t speak in absolutes, but practically speaking: is there something to these substances, or is it all just hype? Sorry, Chris, but it’s taken me a while to get back on this one. I’ve been intending to write a much longer piece on neurocognitive enhancement and what we know reliably from randomised control trials (which are the only the only data source we can really rely on). The odd thing looking at the literature is that the centre of action for drug trials is in the area particularly of symptomatic treatment for Alzheimer’s disease, where there is a demonstrable clinical need for cognitive enhancement, and a search for early efficacious treatment. Here there are data showing some compounds do boost cognition (measured by instruments like, e.g., ADAS-COG or whatever). However, I have yet to come across any reports suggesting that donepezil (the gold standard cholinergic modulator) is used for cognitive enhancement by non-Alzheimer’s group for the purposes of cognitive enhancement. Taking a stand back and doing a general survey of the literature, it seems to me that in non-pathological groups, the best routes toward cognitive enhancement are actually behavioural/psychological. Regular aerobic exercise (preferably while being exposed to nature – biophilia!) has profoundly positive effects on brain function, as does regular and full nights sleep, then social connectedness and regular cognitive challenges. Finally, there is a little evidence that some form of mindfulness-based meditation (especially mindfulness-based cognitive therapy) is very effective too. All of these have good evidence behind them suggesting they are effective for learning and memory, sensory function and anxiety. Regarding neuroprotection and repair, it seems to me still that regular aerobic exercise is probably the best thing currently available, but we also know that the longer you spend in education the great is your level of cognitive reserve (and in turn level of protection against insult). Rates of Alzheimer’s are lower in higher educated populations, all other things being equal. So, back to the substances: I continue to be disappointed by how little progress is being made on the drug front, especially where enhancing learning and memory is concerned. There is a huge unmet clinical need for procognitive drugs, and given the pharma disinvestment of the past decade in this area, we are some way from delivering good solutions for patients. However, great strides are being made in behavioural and psychological interventions. Please free to email me if you want to discuss things further – shane.omara@gmail.com – given your own work there may be a lot to discuss.